Lennie has a pretty busy week. Mine was busy, too. That's why this post is a "catch-up" post with a full week's entries. Cloudy & rained a little. Came back home from Allen. & went riding with Myrtle & Georgie. Went out to Gertie Fitz with Georgia Smith. The Presb Church had a convention for the Ladies Aid Society. Sold horse reddish made $1. Went to the convention and to the JOGT. 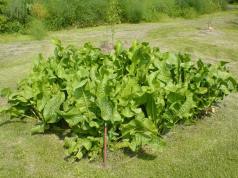 You can read about how to make horseradish sauce from the roots of the horseradish plant here. Wind blew hard all day. Went to a party at Moors.